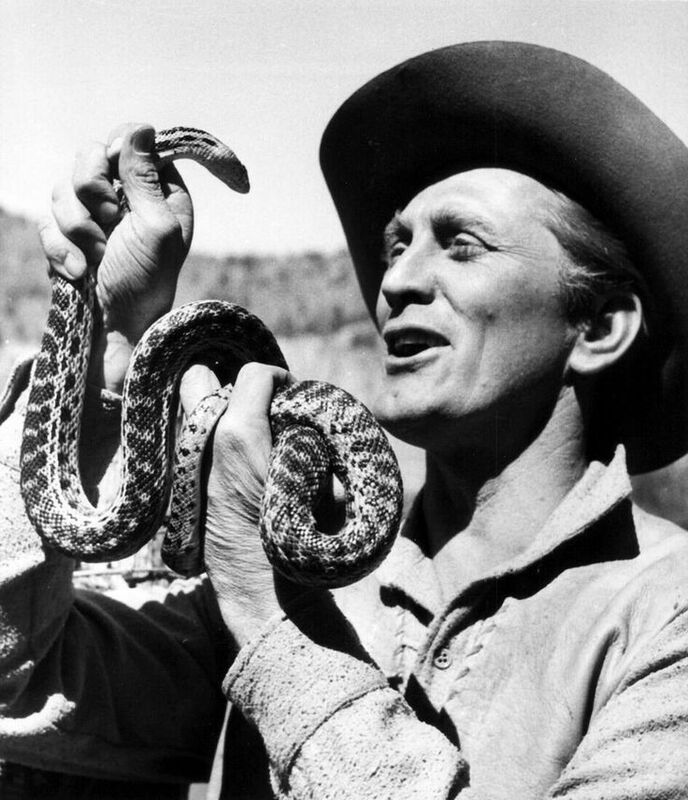 Making Movies | 50 Westerns From The 50s. 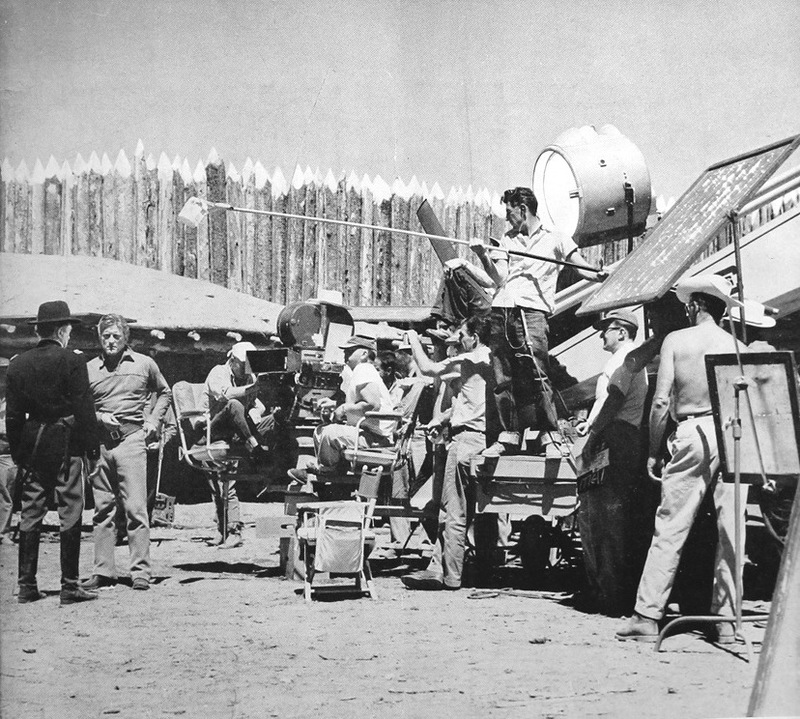 Making Movies: Stagecoach To Fury (1956). 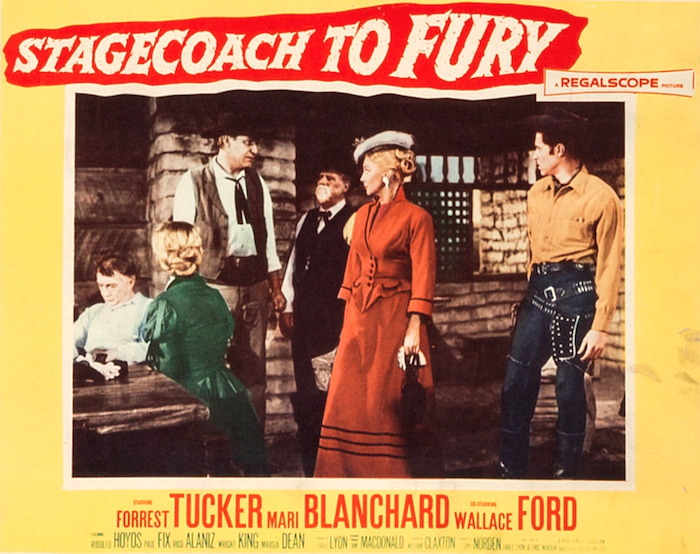 Margia Dean and Stagecoach To Fury (1956) came up on my other blog today, which reminded me of the Regalscope picture’s coverage in the August 1956 issue of American Cinematographer. It’s one of my favorite of the Regalscope Westerns, with a great cast — Forrest Tucker, Marie Blanchard, Paul Fix, Wallace Ford, Margia Dead, Ellen Corby — and solid direction from William Claxton. 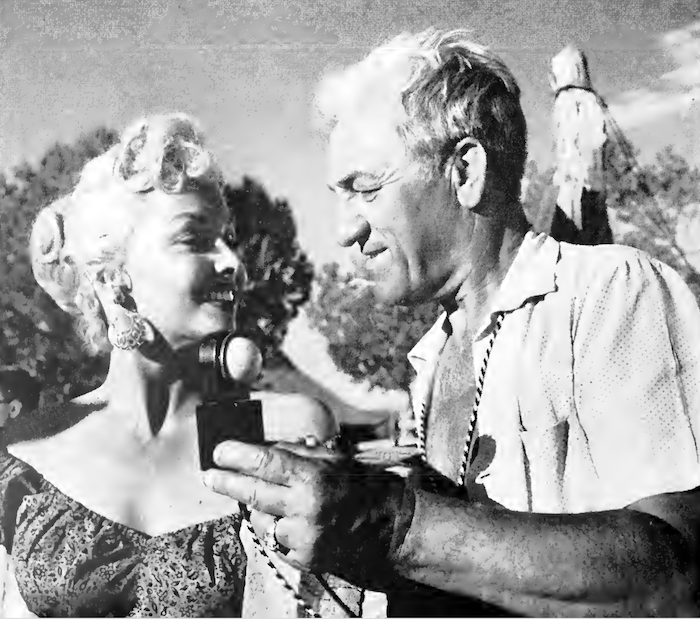 Here are Marie Blanchard and DP Walter Strenge, who shot the picture (and wrote the American Cinematographer article). This was the first CinemaScope movie shot using Eastman Plus-X negative film. A good look at the relay station set. 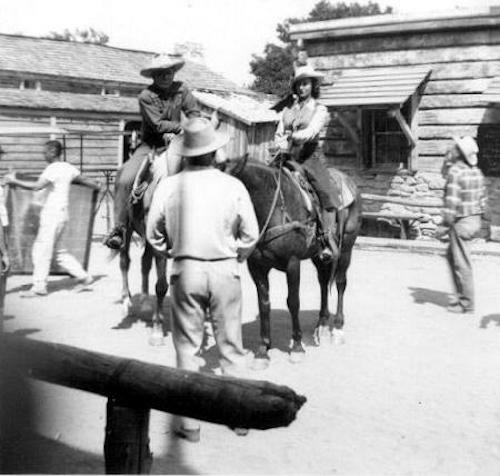 The location stuff was shot around Kanab, Utah, with more done closer to home at the Gene Autry ranch. Wish this one would make its way to DVD and/or Blu-Ray in its proper 2.35:1 aspect ratio. It deserves to be seen the way Strenge shot it. Here’s the article as a PDF: Stagecoach To Fury Amer Cin Aug 1956. Enjoy. 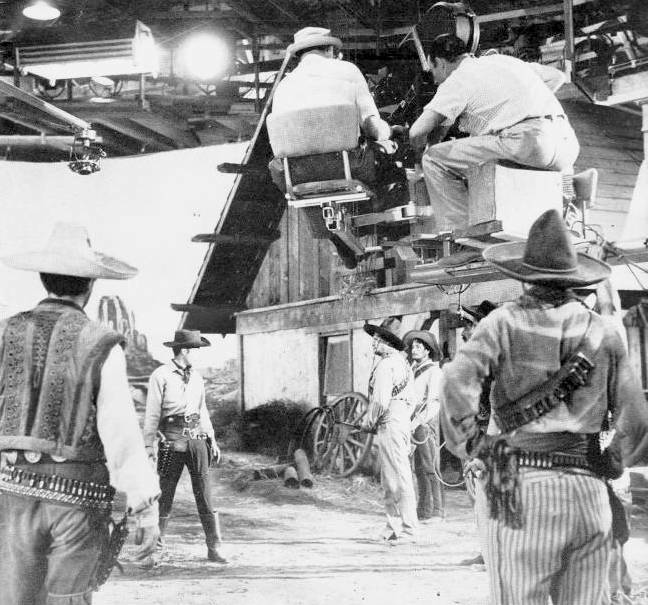 Making Movies: Rio Bravo (1959). Came across this in an old issue of American Cinematographer. John Wayne watches Dean Martin shoot one of his scenes in Rio Bravo (1959). And another. This time, it’s Wayne with Ward Bond. All Points Bulletin: Looking For Desert Mesa (1935) And Half Way To Hell (1961). There’s a feature-length documentary in the works on producer/director Al Adamson. Adamson made a number of exploitation pictures in the 60s and 70s — Satan’s Sadists (1969), Five Bloody Graves (1969), Horror Of The Blood Monsters (1970), Dracula Vs. Frankenstein (1971) and many more. 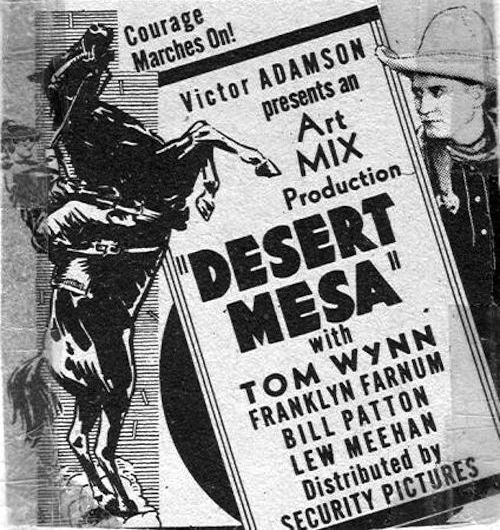 His father was Victor Adamson, who made a slew of B Westerns in the 20s and 30s as an actor and director (sometimes under aliases like Denver Dixon). Many of his films are considered lost. That’s Al Adamson in the lower left. 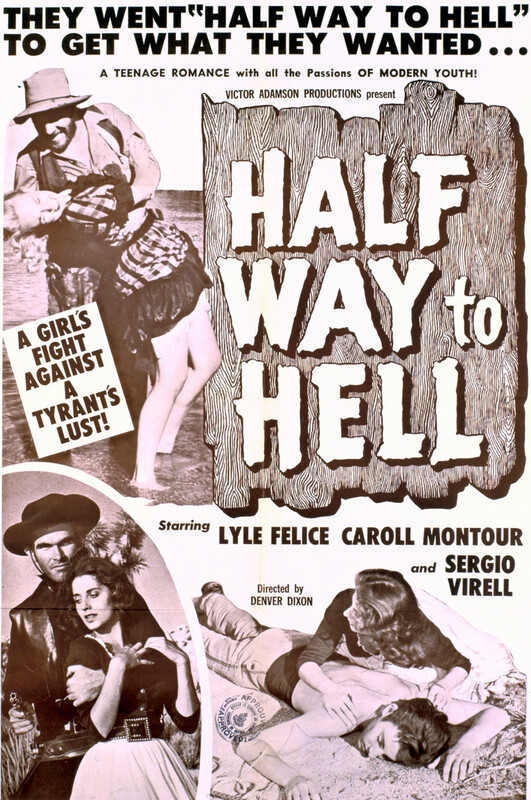 As a boy, Al appeared in his dad’s Desert Mesa (1935), and they worked together on another no-budget Western, Half Way To Hell in 1961. They made cheap genre movies a family business. Footage from these films is needed for this documentary on Al Adamson. If you have anything — from a film print to a bootleg VHS, please let me know, and I’ll put you in touch with the producers. Thanks a lot. 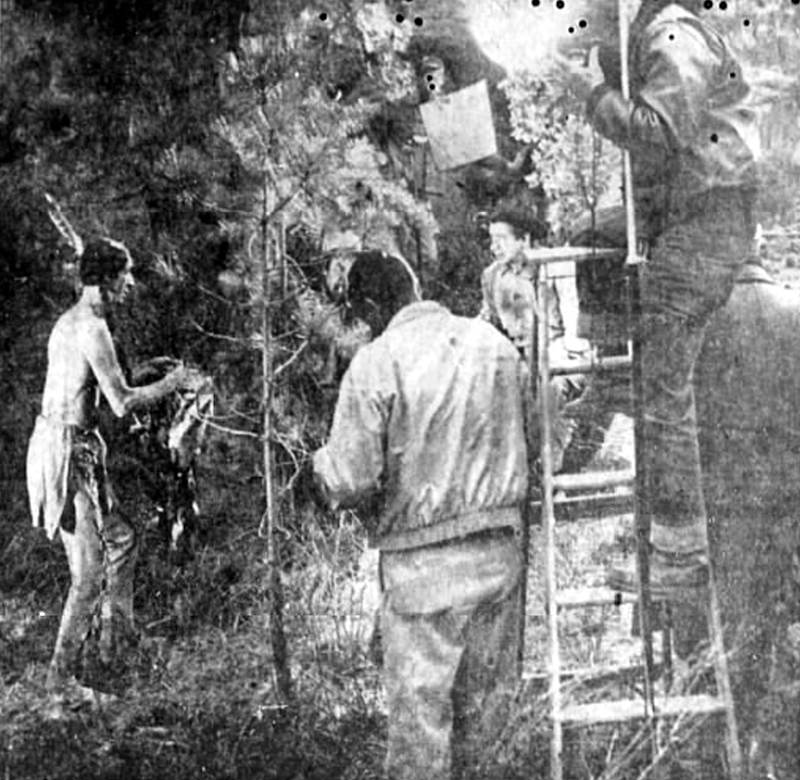 Making Movies: The Indian Fighter (1955). With The Indian Fighter (1955) making its way to Blu-Ray from Kino Lorber, this seemed like a good time to share some more of the photos my wife’s finding as she helps with the research for my commentary. (Photos don’t do too well in an audio commentary.) I’ve been really wallowing in this movie the last couple weeks. 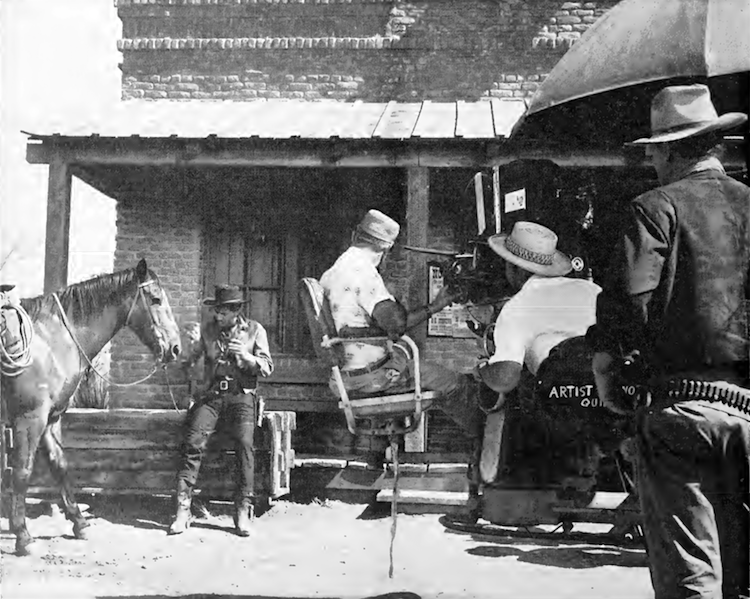 Here, they’re shooting a scene with Hank Worden and Walter Matthau. 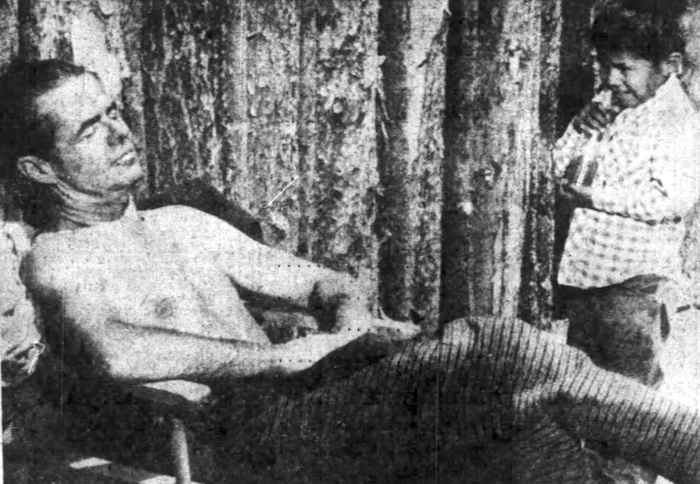 Elisha Cook rests between takes in Bend, Oregon, as Ira Eagleman (whose parents were working as extras) looks on. Cook, Worden, Matthau — what a cast! 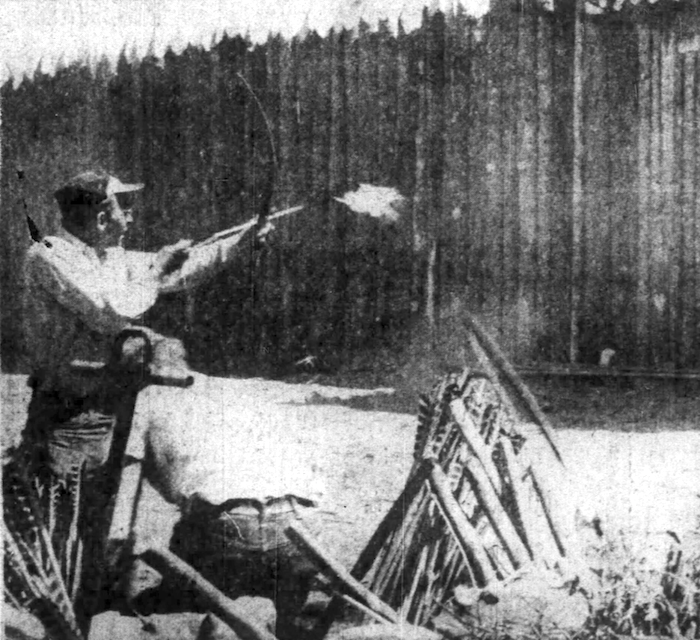 A prop man fires flaming arrows at the fort. Elsa Martinelli, an Italian fashion model, made her screen debut in The Indian Fighter. Douglas’ wife Anne saw her in Vogue and recommended her for the part. Here, they’re shooting inside the stockade. I can’t find director Andre de Toth in this photo, but this seems to be a scene with Douglas and Walter Abel. The Indian Fighter was the first picture from Douglas’ Bryna Productions. It was also de Toth’s first time chance to work with CinemaScope. He does a couple of really cool 360-degree pans that really use the Scope frame (and show off the distortion in those early Scope lenses). 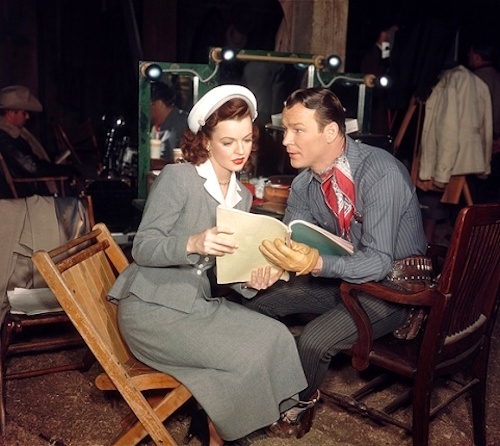 Making Movies: William Witney On The Roy Rogers Movies. Producer Eddie White, Roy Rogers, Director William Witney. While doing some research on Sunset In The West (1950), I came upon an intro to Under California Stars (1948) that aired on Roy Rogers’ Happy Trails Theater. William Witney was the guest, and he gave a bit of a rundown on how the Rogers pictures came together. Very interesting stuff, coming from a brilliant craftsman. 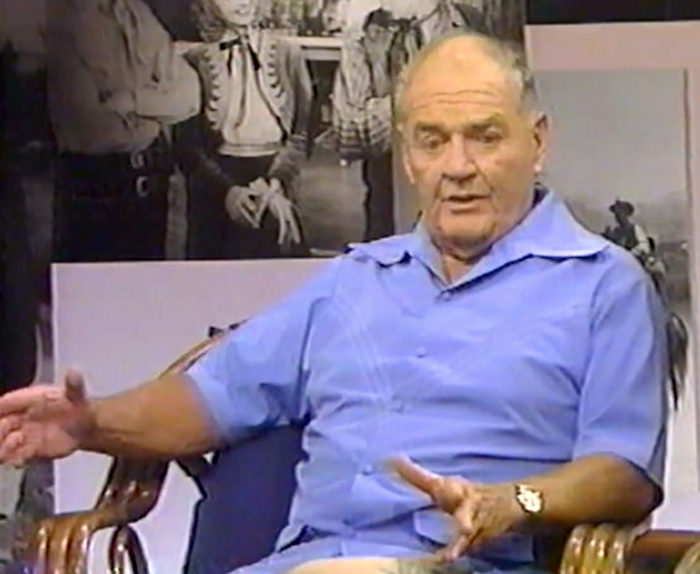 William Witney: “Our producer, the greatest guy, Eddie White… was from New York. He didn’t know which end of a horse was which, but he had good taste. And they brought me along and put me with him. I’d been a horseman all my life. I’m a jumping horse rider, and I love horses. So, we made a very excellent team, the two of us. We became the best of friends. Now we come up with a finished script. Eddie and I would go through it, check the dialogue, check it out, and give it to the production department. Now Jack Lacey was our unit man for years. He’d lay it out on the board for a budget, and we would put the budget down, and if that was what the studio would okay, now we had to find the locations. We knew every location locally. I knew every location we could afford to go to. We’d pick the location — Big Bear, someplace like the Iverson… So now we’ve got the locations, we’ve got the departments — wardrobe department, makeup department… These crews that we had were held together with a tight hand. They were our friends. Here’s a batch of behind-the scenes photos to help wrap up 2016. 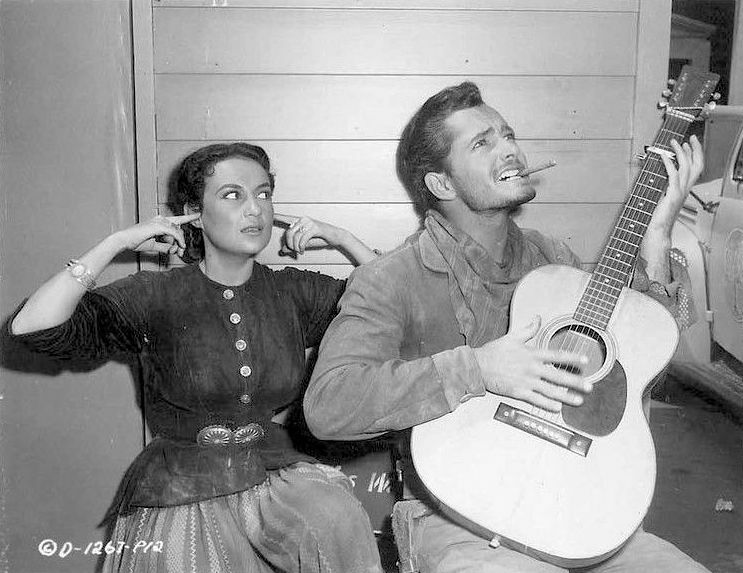 Let’s start with Maria Elena Marques and John Derek on the set of Fred F. Sears’ Ambush At Tomahawk Gap (1953). 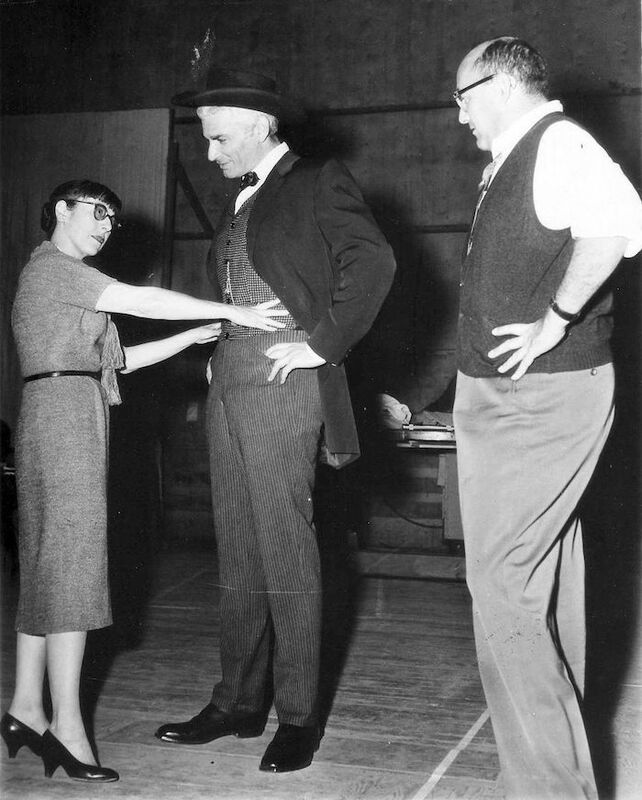 Next is Edith Head, Jeff Chandler and Melvin Frank going over costumes for The Jayhawkers! (1959). 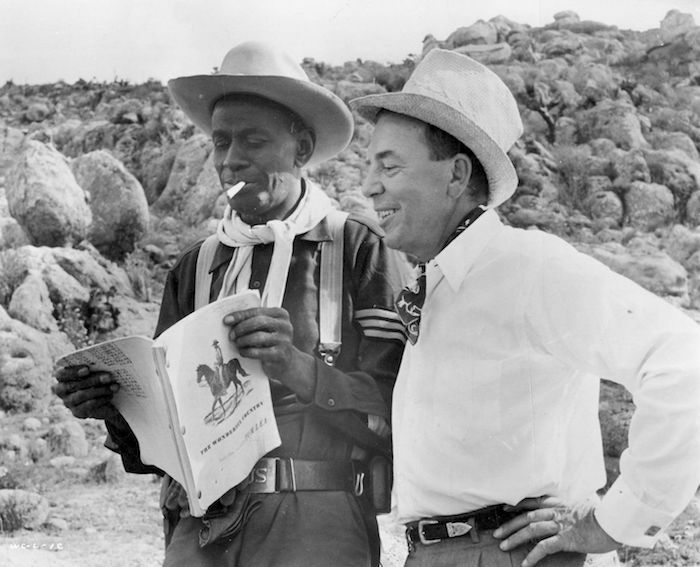 Here’s Satchel Page and Robert Rossen at work on The Wonderful Country (1959). 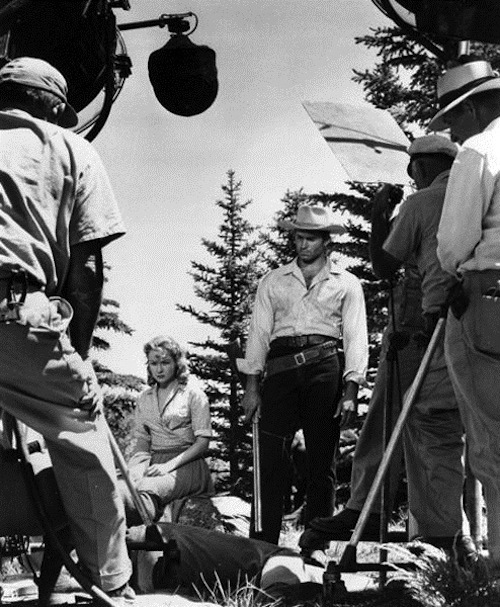 Then there’s Virginia Mayo and Clint Walker shooting Fort Dobbs (1958). Making Movies: Whistling Hills (1951). Stephen Lodge is a very nice man who, as a kid, got to visit some Western movie and TV sets. (His aunt worked for Monogram.) 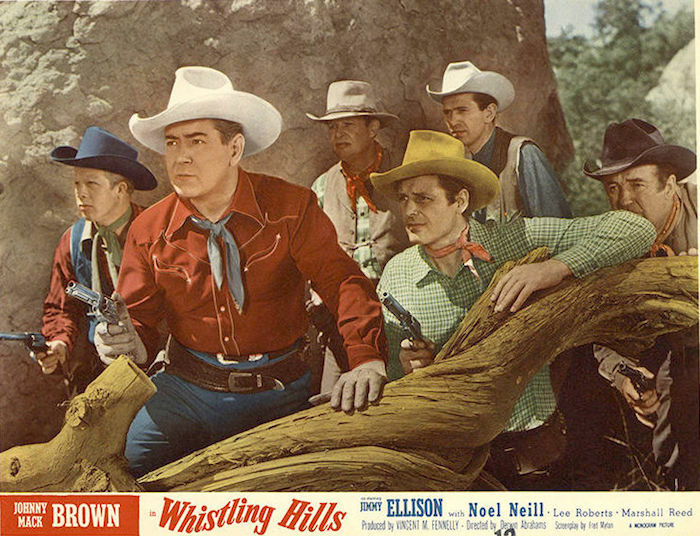 One of those visits was to the Iverson Ranch while Johnny Mack Brown was shooting Whistling Hills (1951). I’ve “borrowed” the next few snapshots from his website, which I encourage you to check out. 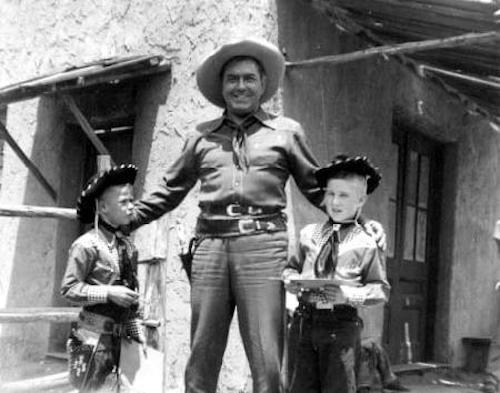 First, Stephen and his brother meet Johnny Mack Brown. Brown with his costar, Noel Neill. 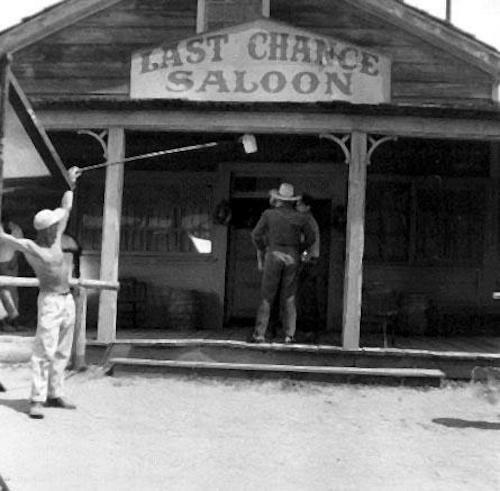 Brown at the saloon on Iverson’s Western street. There are plenty of other photos on Lodge’s site, along with a great writeup of his time on the Iverson Ranch. 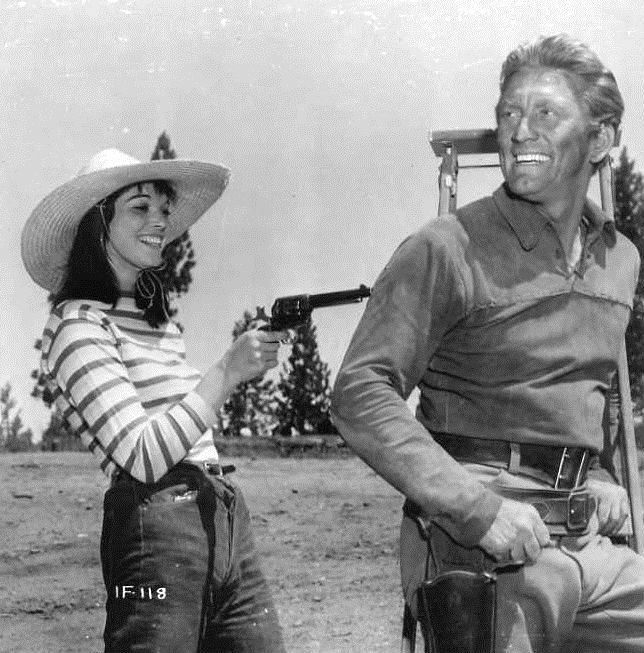 Whistling Hills is available on Warner Archive’s Monogram Cowboy Collection Volume 7.